Terry Allen Hinkle obituary. Carnes Funeral Home. Terry Allen Hinkle, 64, passed away on December 17, 2017 at Memorial Hermann Southwest Hospital in Houston, Texas following a brief illness. Terry was born in Edmond, Oklahoma on May 12, 1953 and adopted by Allen and Elsie (Arends) Hinkle. After the untimely death of his mother very early in his childhood, Terry and his sister Sheryl also spent significant time living in Oklahoma with their paternal grandmother, Veda Weldon. The Hinkle family later moved to Houston, Texas, where Terry attended Memorial High School in Spring Branch. 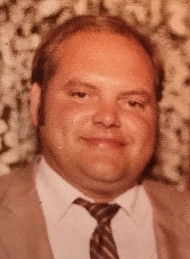 Terry was most recently employed by T&L Distributing in Houston, Texas, where he dependably served for 27 years in various warehouse and truck driver positions. Terry is preceded in death by his parents, sister and grandmother. He is survived by his four children: daughters Teri Hinkle and Tomi Hinkle of Spring, Texas; son Jeremy Hinkle of Cypress, Texas; and daughter Sarah Hinkle of Cypress, Texas. Terry also leaves behind his three grandchildren: Mackenzie Schulze, Jacob Raines, and Mya Holmes, all of Spring, Texas. Final arrangements have been handled by Carnes Funeral Home in Houston, Texas, where the family has held a private remembrance.